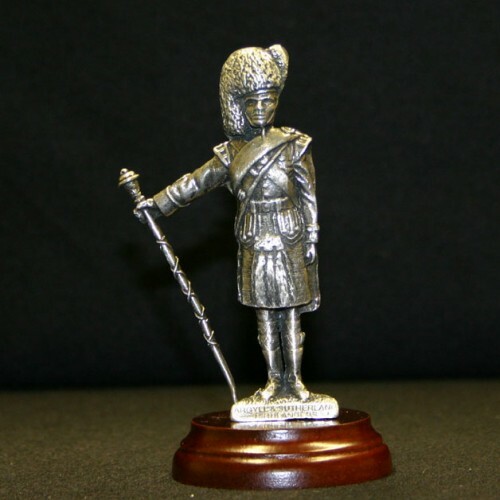 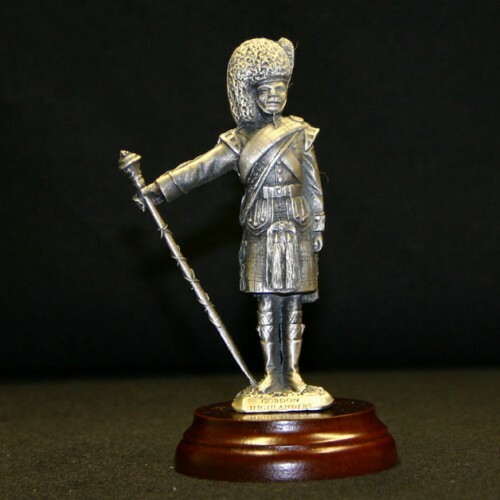 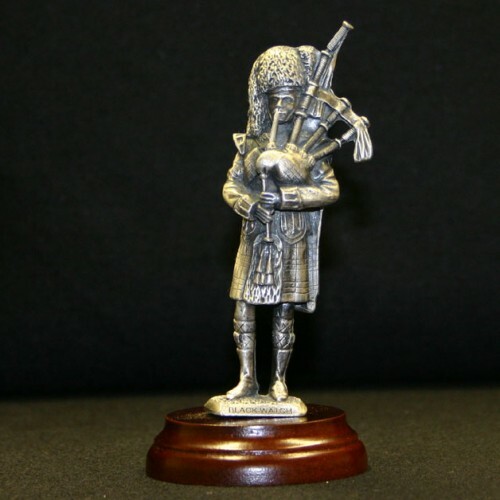 A beautiful range of figurines set on a hardwood base which depict an array of enduring Scottish images. 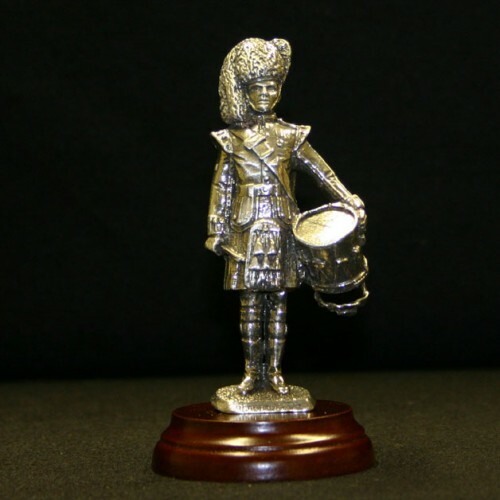 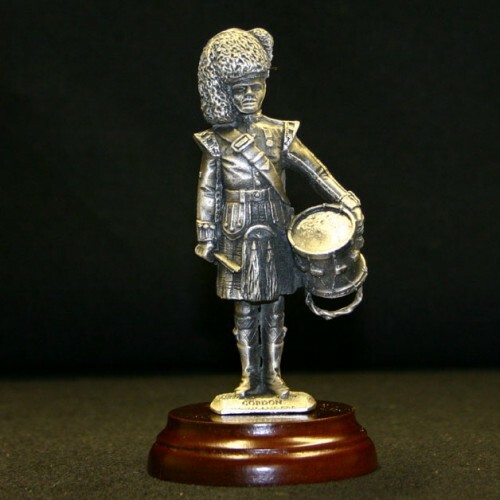 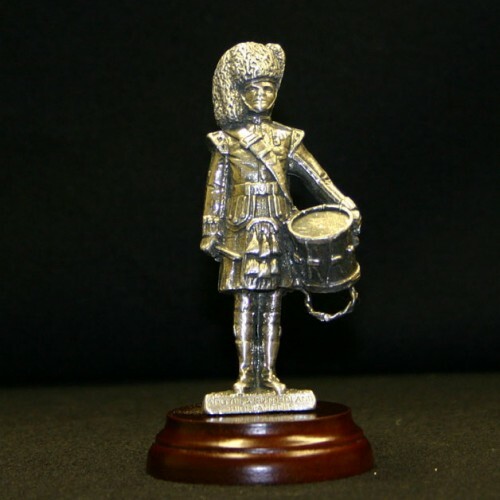 Each piece is approximately 3.5" - 5" in height (excluding base) and is cast from high quality 100% lead-free pewter. 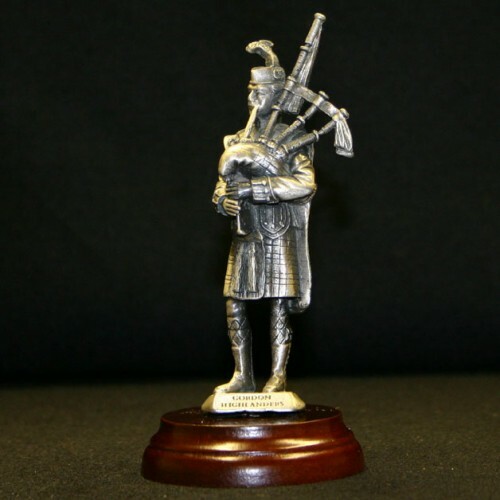 The perfect gift for for the piper or dummer in your life! Please note: figurines are made to order. 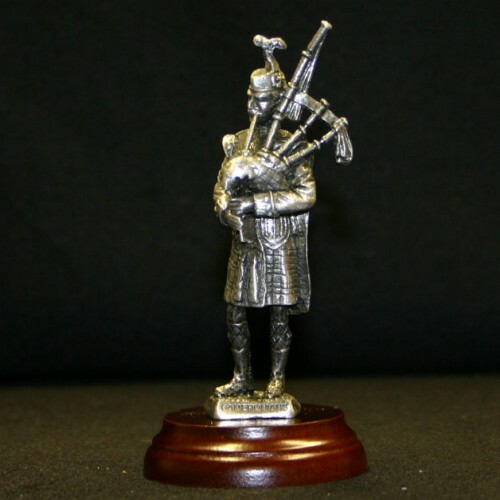 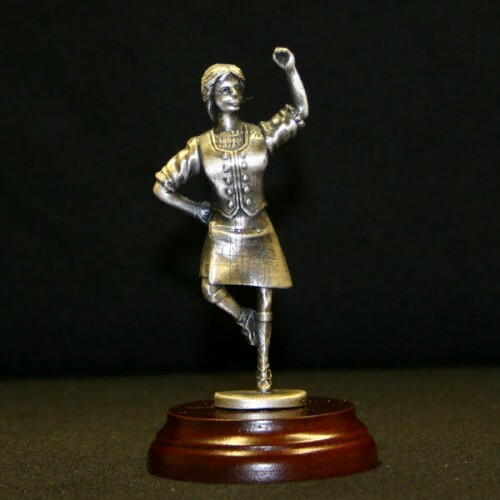 Please e-mail us to order your Pipercraft Figurine.